An introduction to UDL and its value in an Aotearoa New Zealand context. What is the UDL framework? UDL is a framework to improve and optimise teaching and learning for all people based on scientific insights into how humans learn. 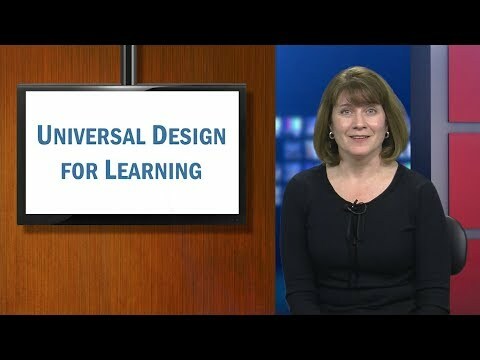 Loui Lord Nelson outlines why and how UDL was developed. Environments can be designed with all three learning networks in mind. The UDL principles help us keep these in the front of our thinking. The UDL Guidelines are not a checklist. Instead they offer a set of suggestions that can be applied to any context to ensure that all learners can access and participate in meaningful, challenging learning opportunities. What is the value of having a framework to guide planning? Which guidelines and checkpoints are already embedded in your practice and which are unfamiliar? Access is the focus of the first guideline of each UDL principle: How do you ensure everyone has access in your classroom?